When you purchase a bottle wine, the label will tell you exactly where it comes from as well as some other interesting information about the drink. New Zealand produces many different wines and ships them to countries all over the world. Some of the most popular wine manufacturers and vineyards in New Zealand are as follows. Wairarapa is a small region but offers a variety of high quality wines that are unique in their taste and enjoyed by many. Stylish wines are created with the grapes from this beautiful location including Chardonnay, Pinot Noir, Syrah, Sauvignon Blanc and unique desserts wines. Some of the wine brands worth experiencing from Wairarapa include Ashwell Vineyards, Big Sky Wines, Dry River Wines, Julicher Estate and Matahiwi Estate. 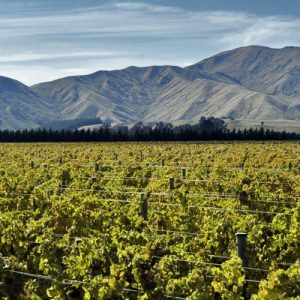 Marlborough is probably the most popular region in the country for producing wine in Marlborough, it is also the largest. This is a location that is cool with plenty of sun and low rainfall, making it ideal for producing the most exquisite wines. Some of the most well-known wine brands produced from Marlborough vineyards include 3 Stones, Astrolobe Wines, Black Cottage, Catalina Sounds and Dog Point Vineyards. This is a popular place for tourists because of its beautiful mountains and picturesque views and landscapes. The region is also well known for producing some amazing wines, namely Chardonnay and Sauvignon Blanc. Some of the best wine brands to come from Central Otago include Ata Mara, Auburn Wines, Barrington Wines, Loveblock and many more. This warm location offers a range of wines that are full of flavour and some have even won awards for their quality. Some wine brands that are created from the grapes of the amazing vineyards in the region include Ashwood Estate, Huntaway Reserve, Lake Road Wines and Natural Wine Co.
With the number of manufacturers in New Zealand, there is something for everyone out there!